In the age of the propane grill, it has become much too easy to suppress the sensation of digging into a hamburger grilled over white-hot charcoal. But there is no mistaking the aromas and flavors of food cooked in this manner, which to many has become a novelty, or a piece of nostalgia. It is refreshing to come across dining establishments that offer char-grilled foods, and it is fortuitous that one exists smack dab in Downtown San Leandro. 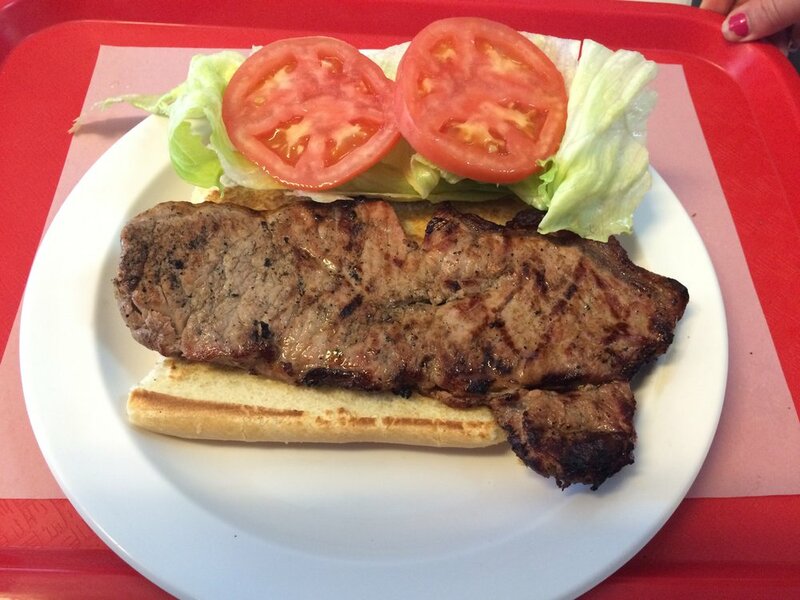 Rocky’s Charcoal Grill is located on the corner of Hays and West Estudillo, a stone throw from Casa Peralta, and next door to the San Leandro History Museum. The restaurant provides indoor and outdoor seating, and offers a reasonably priced selection of comfort food. 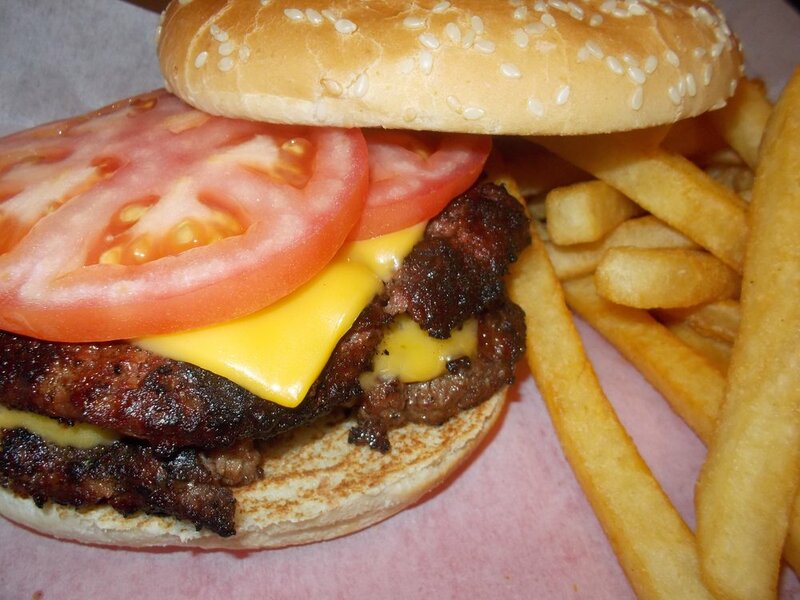 A Rocky’s regular will probably advise new diners to try one of the 18 hamburgers on the menu. The burgers are made with Painted Hills Natural Beef and feature a variety of toppings, from cheese and sauteed onions to homemade teriyaki and pineapple. The burgers come served with tomato, and you can add more fresh vegetables to your liking with lettuce, onions, pickles, peppers and more at the condiments bar. The burgers are cooked to order and satisfy the taste buds with the distinctive, delicious smokiness that only charbroiling delivers. The menu is teeming with hamburger and sandwich options, but it also offers fish & chips, hot dogs, sausages, sides and salads, as well as steak and barbecue dinner entrees. 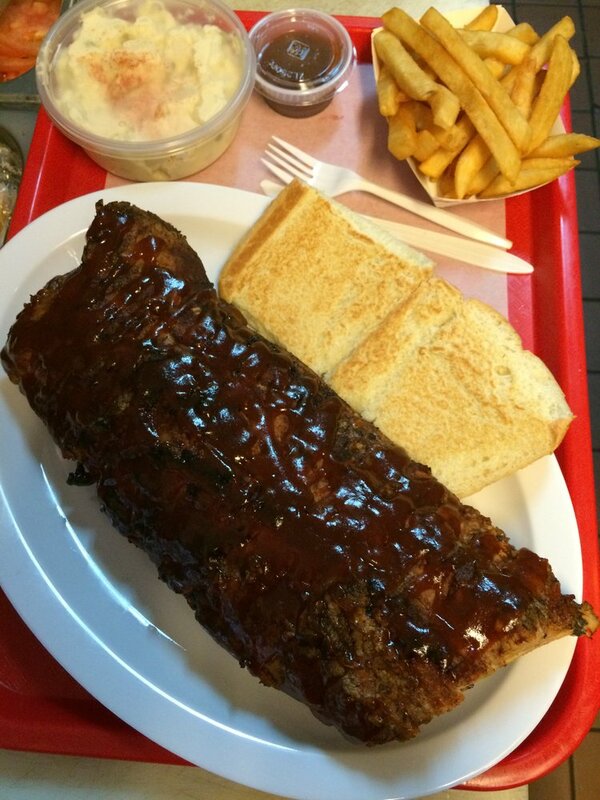 For those watching what they eat, Rocky’s provides a lighter size menu. And on a hot day, diners may want to cool off with a milk shake made from real ice cream. With roughly ten years under its belt, Rocky’s has become a staple San Leandro establishment worth celebrating. Love their Oakland Burger! That sourdough bun is legit!